Our Heritage Dining Arm Chair is constructed using the most resilient aluminum ingots along with the purest aluminum extrusions. The end result is a quality chair that assures long term durability while exuding an elegant artistic aesthetic. Comes in a wide variety of tasteful finishes. 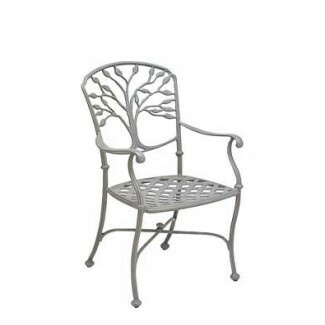 Our Cast Aluminum Seating Collection has a lead time of 3 - 6 weeks from the time your order is processed.